As Rob and I have never traveled to Australia [yet], we invited Carolin Pilligraph, a good friend, travel blogger and digital nomad to share her knowledge about how much does it cost to travel in Australia. She has been living and traveling in Australia for the past years, and if you a planning a trip to Australia, or an adventure around the land Down Under, this post is perfect for you. Having backpacked, worked, lived and housesitted for many months in Australia over the years, I have completely fallen in love with this country, its amazing landscape, nature, beaches, surf spots and incredible laid-back people and outdoor lifestyle. That gives me info and experience enough to share with you how much does it cost to travel in Australia, and how you can save some money during your trip. 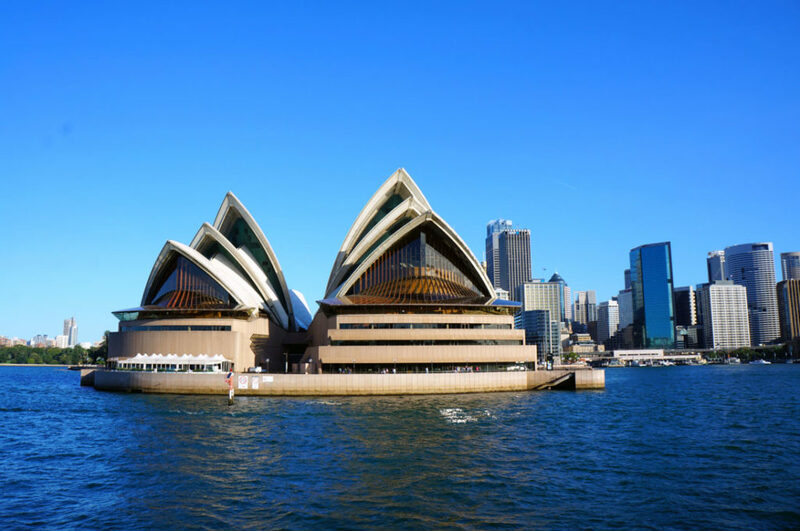 Many people travel to Australia each year, for an extended backpacking trip, to study or simply to visit the many natural wonders like Uluru, the Great Barrier Reef and to see the famous Sydney Opera House. To take the wind out of your sails upfront: Australia is not cheap, neither to travel nor to live, however you can still make it a great trip even if you are traveling on a budget. With this post I aim to help you calculate what you need to expect to spend on a trip to Australia, cost of food, attractions, transport, and give you advice on how to save and make the most of your money and experiences. If you are planning a trip to other countries, don’t forget to check out how much does it cost to travel session, and figure out the travel budget for many countries around the world. In Australia the local currency is Australian Dollars and 1 Dollar over here currently converts to US$0,74 and €0,66 respectively (Oct. 2016). All prices in this post are shown in Australian Dollars and are for one person only except where indicated. 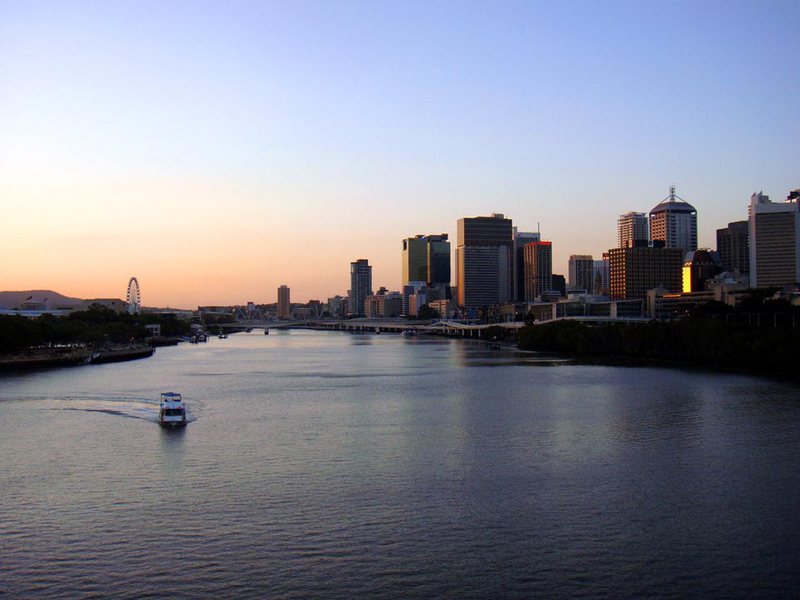 Cities visited in Australia: Brisbane (find here what to do in Brisbane), Sydney (tips for Summer in Sydney), Melbourne, Perth (read this great guide of things to do in Perth), Darwin, Cairns, Alice Springs and anything in-between (I told you I love this country!). Roaming around those cities give me a good picture of what to expect when planning your Australia travel costs. How much does transportation cost in Australia? There are many ways to fly into Australia with the most common starting points being Sydney or Melbourne. However, there often are very cheap flights from Bali to Perth as well as I recently discovered a flight from Singapore to the Gold Coast with the budget airline Scoot which is very reasonable. Otherwise, you’ll most likely use international airlines like Emirates, Singapore Airlines, Cathay Pacific and Qantas to arrive into the country. Depending on the season, you can find great deals. Virgin Australia is the second largest airline in Australia after Qantas. However, keep in that mind peak travel season is around Christmas and New Years when the locals also take their summer vacation. You can find the lowest airfares from about mid-April to the end of August, which is the perfect time to visit the Red Center and the tropical north including the Great Barrier Reef as it’s less hot and humid. From London to Sydney it’s about 22-24 hours of total travel time with the most common stopover cities being Dubai, Abu Dhabi, Singapore and Hong Kong. To find the best rates and connections we suggest to have a look at Skyscanner, there you can check the price of the tickets within a month, so you can choose the best and the cheapest day to fly to Australia. Depending on the city, public transport is largely accessible with buses, trains, trams and ferries existing. Public transportation costs depend on the distance in most cities. In Sydney, a single adult fare starts at $2.10 up to $4.50 with ferries being more expensive. Sydney however, has a cool weekly travel reward happening, so if you own an Opal Card (highly recommended to get around Sydney!) and have completed eight paid journeys around town between Monday and Sunday, then all the fares for the rest of the week are half price. The price on Sundays is a flat $2.50, anywhere you go in the cities network, no matter if bus or ferry, so this is a perfect day to explore the wider surroundings of the city at a super budget price! Little tricks that in end of a week or a month can cut down a lot the costs of traveling in Australia. If you are going longer distances between cities, there is a Greyhound bus as well as many tour bus companies, especially along the East Coast offering hop on hop off or complete tour packages. A Greyhound pass from Sydney to Cairns costs £261, which lets you travel all the 3150 kilometers and the pass is valid for 6 months, so plenty of time to hop off along the way. Also consider taking one of the iconic train journeys from North to South or East to West, they are said to be incredible and still on my bucket list! Yes, Uber is still not banned and works perfectly, I use it all the time! Sign up now and get your first ride for free! Taxis exist too of course, but tend to work out more expensive as anywhere else in the world. Another popular way to travel around Australia, is renting/buying a car or van locally and circle around the country. Obviously, renting a car makes sense for a short period of time. VroomVroomVroom is a great site to compare the most competitive rental car prices from all the major suppliers in Australia! Yes, as a foreigner you can buy a car in Australia and this probably makes sense if you go on a more extensive trip around the country. Make sure you have an international driver’s license and always drive on the LEFT! Many travelers start looking to buy a car on Gumtree, a site for free classifies ads, which is pretty huge in Australia. Or start by checking out the local notice board in your hostel. If your dream is to go on a road trip in Australia, read our blog post about how to pick the right car for your Aussie road adventure. How much does accommodation cost in Australia? By far, you will have to spend the biggest chunk of money on accommodation, since it is not cheap! A bed in a dorm room starts at about A$20, depending on the city, you will sleep here with 20 people+, not the sort of privacy you have hoped for I am guessing. Private hostel rooms start at about A$55-65. Check out these budget accommodation options in Brisbane to get an idea of prices and the types of accommodation. 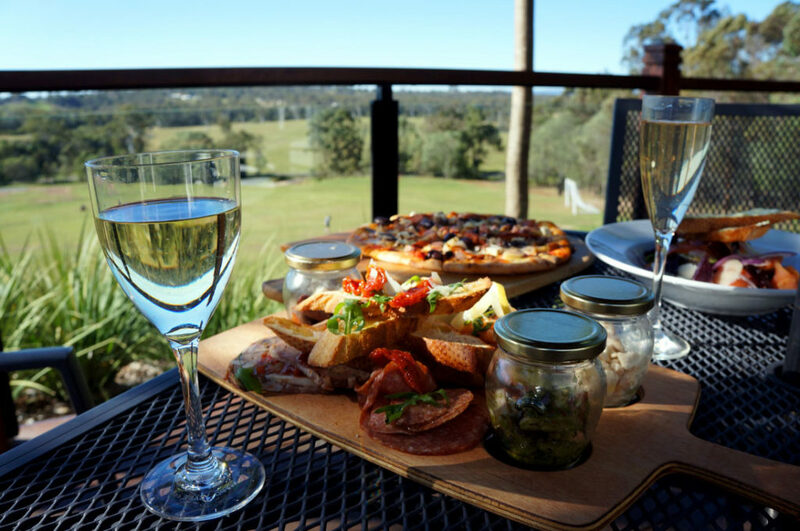 Of course, you can always splurge as there is no end to high-end hotels around Australia. You can find the best deals for hotels and hostel in Australia using Agoda or Booking.com. 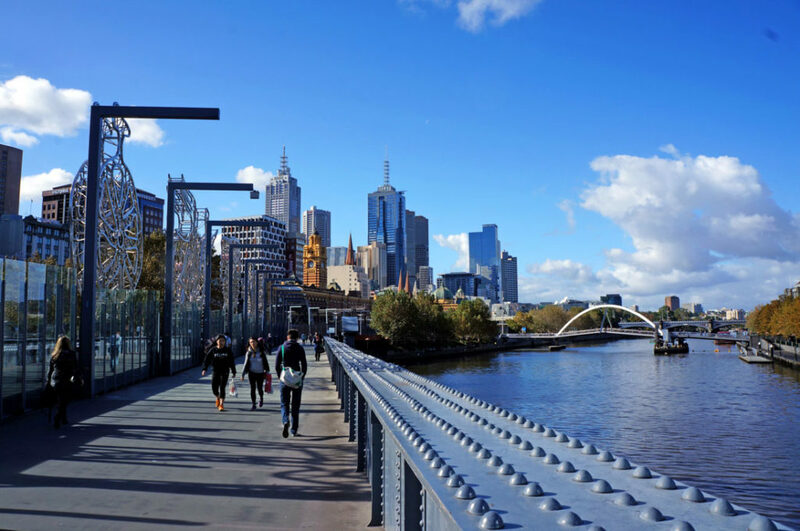 Hotels in the suburbs tend to be cheaper, so it’s a smart to look all over the city to find the best option that won’t blow up your costs of traveling in Australia. Many hostels offer weekly rates for people who stay longer. Alternatively, you could work for food and accommodation which is widely offered to backpackers across the country. WWOOFing is another popular method to save on accommodation in Australia as you work on a farm for a few hours in exchange for a place to sleep and food. There is another great site to find farms, homestays, backpackers or even sailing boats to volunteer short-term in exchange for food and accommodation. I have been housesitting a lot in Australia to save on accommodation costs. I have also stayed in an Airbnb, one of the cheapest I found in Brisbane was about A$35/night and still super lovely. Airbnb prices in Sydney, especially around the popular spots like Bondi Beach are getting ridiculous these days. I recommend choosing a neighboring suburb, which is less popular. 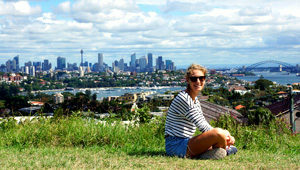 I have for example stayed in Rose Bay, which is absolutely lovely and only a 20-minute walk to Bondi. Or choose Maroubra a little further down the coast if you want to stay by the beach, however it’s a little bit a trip to get into the city. The weekly rent for a room in an apartment in Brisbane is around A$150-250, depending on location. In the city center, sharing a room with one or two other people is very common as prices are simply horrendous. If you are traveling with friends, this can be a good option to low down your travel costs in Australia. I think there is no real thing such as traditional “Australian food”, it’s a huge mix of many different influences coming especially from Asia and India. Yes, for many a “barbie” (=BBQ) is a very Aussie thing (don’t forget to add the beetroot to any burger! ), so are meat pies, sausage rolls, salt & pepper calamari and fish ‘n’ chips by the beach. Don’t forget to try TimTams, the most-loved biscuit in the land Down Under! Alcohol and cigarettes are very expensive in Australia. Lucky I don’t smoke! I still love and drink wine though and really just cringe every time I pay. There is a cheap type of wine called “goon” in Australia, which comes in 1.5-4l boxes and it popular among backpackers. Groceries in the supermarket are reasonable, if you buy at Woolworths or Coles home brand, you can definitely live/travel on a budget in Australia. Many cities now also have Aldi, a discount supermarket originating from Germany and truly the cheapest for basic groceries. How much is the cost of visiting tourist attractions in Australia? 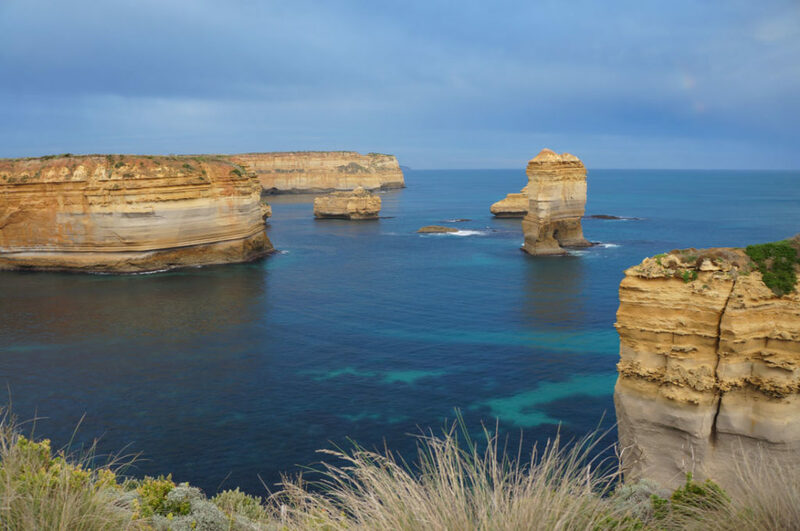 Joining a tour in Australia is not cheap, may it be a day trip to the Blue Mountains outside of Sydney or a three-day trip around the famous Red Rock, the Uluru, or driving around on the biggest sand island of the world, Fraser Island. Many of those natural attractions are set in National Parks where entry fees and permits are required, costing on average between A$10 to 30. For example, a 3-day adult visitor pass for visiting Uluru and Kata Tjuta National Park will set you back A$25. But then again, there are plenty of natural attractions that are entirely free to visit. If you’d like to visit the Sydney Opera House, you can join a 1-hour guided tour exploring the inside of the house (runs daily from 9 am to 5 pm and starts every 30 minutes, cost: A$37) or you jump on a 2-hour guided Backstage Tour (cost: A$165) in the morning to see everything that’s going on behind-the-scenes of the performances. Otherwise, you may as well see a show to enjoy the Opera to its fullest! The costs of attractions is Australia can take a big portion of your travel budget, but again, you are traveling to a different country, full of natural and modern wonders. There is no point to go back home without experience them. That’s why is so important to plan the costs to travel in Australia and be prepared to enjoy the country. How much does nightlife cost in Australia? Going out in Australia goes hand in hand with the expensive alcohol prices I talked about earlier. Even though there is some amazing nightlife in all cities, Sydney and Melbourne are the most expensive to have a big night out. I am currently based in Brisbane where the biggest party scene is happening in The Valley (Fortitude Valley). There are no entry fees to bars but many nightclubs do charge an admission which varies. These are just average prices, keep an eye out on happy hour, 2 for 1 and student bars like Birdies in The Valley, as those offer more value. So, how much does it cost to travel in Australia? Travelling Australia is not cheap, that’s for sure. But, yes there is a big BUT! It is worth every single penny!!! Australia is just beautiful, and while being vast it’s packed with some amazing things to see and do. Many of them without even having other tourists around you! I have spent years traveling and living around the country, have discovered many free things to do in Australia, got around paying accommodation by housesitting and traveling on the cheap by joining a group of backpackers who had their own van and helped out with petrol. If you are on a tight budget, you can live/travel in Australia on A$50-100 a day, depending if you are in the city or in a rural area. There are many free or low-cost campgrounds in Australia still boasting great facilities and many times they are located right in prime locations like right on the beach. Keep in mind that some things in Australia like brand-name clothing, electronics and cosmetics are also more expensive than other parts of the world. However, if you share a car with friends, cook yourself and pack all your travel essentials from home, you will have an amazing time traveling Australia, even if you are on a budget! 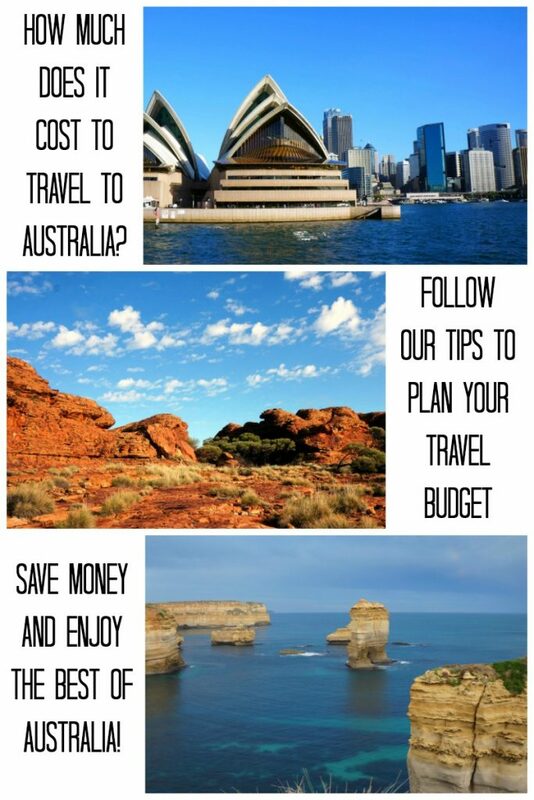 Are you planning to travel on a budget to Australia? Or your trip will be full of luxury and fun? Hope our post about how much does it cost to travel in Australia has helped you to organize your thoughts and plan wisely how much money you will for this trip. Originally from Germany, Carolin is today travelling the world for a living. Since becoming a digital nomad almost two years ago, she has called many places home: Chiang Mai, Sydney, Bali, Barcelona and Brisbane. Carolin works entirely location independent as a social media specialist and content creator while doing the odd web design project and running her travel blog breathingtravel.com. Ask her anything about house sitting, being a digital nomad and Australia, her favourite country in the world. Follow along on Instagram for daily wanderlust inspiration @breathingtravel. Australia is not so different from Europe, I believe the flights from U.S. to Australia are more expensive than to Europe, but again, it’s such a unique and beautiful country… Maybe a few months saving and you can make it happen! This is such a handy guide; while I’ve been to Australia on a working holiday visa, I have a friend travelling via campervan heading that way. Forwarding her this article now because it could not be more appropriate! I think a lot of people need articles like this just to get a ballpark image of what it’s going to be like money-wise. Thanks for sharing the post Danielle!! We believe that budget information and tips on how to save money are always welcome, even if you aren’t on a budget trip. It’s always good to know the costs of the places, so you won’t be surprised when arriving there! Australia is such an incredible place. It ranks really high on my must-visit list! I need to set aside a month to visit parts of the country and this is really helpful to budget my trip. Very useful! I believe a month should be enough to visit the country and get a taste of it. So many things to do and see there! Hope you make to Australia soon! I fell in love with Australia when I visited too- I was already planning my second and third trip back while I was there…so much to see! I never met a person who doesn’t like Australia, it’s an amazing country indeed. What a helpful post! Wish I’d seen this before we went. Most difficult to handle was driving around Sydney and we had a short time to find a room for my daughter-in-law who was spending a semester there. I can imagine was hard was to drive around and even find a room in Sidney. Hope she is enjoying the country! I have to agree it’s a beautiful country to visit or live, we moved here a few years ago and are on a mission to see as much of it as we possibly can. It can be done on most budgets although like any western country it isn’t somewhere to try living on $10 a day. To save money on groceries I’d suggest buying as much as you can in the local farmers markets rather than the big supermarkets, it is much fresher so you waste less and what is in season is usually priced well, toward lunch time when most close there are usually good bargains to be had or go early for the best choice. Thanks for the awesome tip Toni! A great way to save and eat healthy, specially that when we are on a tight budget we tend to eat cheap and unhealthy fast food. All the best and enjoy Australia! I haven’t been to Australia but I have heard it’s quite pricey. Thanks for the great tips. They will come handy in the future. I agree with you – though it is not cheap it is just worth it. I have not been in a while but it is just beautiful. I guess everybody agrees, Australia is amazing but expensive! Most Aussies don’t travel a lot in Australia, other than small family holidays, because it is expensive. A lot of us head on over to Asia as it is much cheaper. That being said, it is a beautiful country and I have explored a lot of it! Its very diverse and worth seeing it! I’m happy to call Australia home! And after this post now I understand why we find so many Australians around Southeast Asia, it’s definitely way cheaper to travel. Some great tips! I spent a total of 6 hours exploring Sydney on a recent stop over. Found the costs reasonable overall, not cheap but at par with at home in the US. Only thing that was costly was the Visa. It was over $100 and for a short stay seemed a excessive when my two weeks at my next destination were free. Won’t stop me from heading back for a longer trip though. Thank you for this information. I was thinking to travel Australia since very long time. 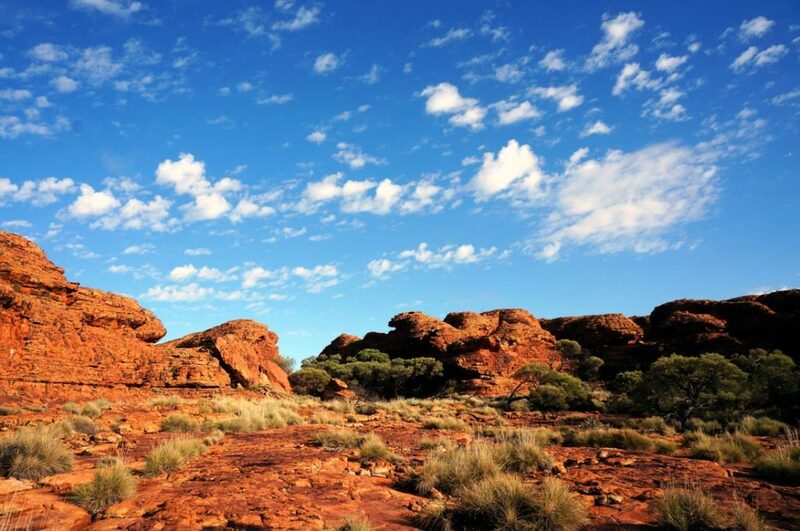 We are happy to share some travel tips to Australia, such a stunning country! We cant wait to make our projects in Australia too. Thanks for sharing this. This will definitely help our volunteers to make their budget. I’m a travel agent here in Australia and while my website () focuses more on the luxury-tour side of Oz, I actually know about all sides of Australia (budget and not so) so shoot me an email if you’re ever needing advice! Excellent post. I want to thank you for this informative read; I really appreciate sharing this great post. Adventure Sports to do Whilst Travelling.